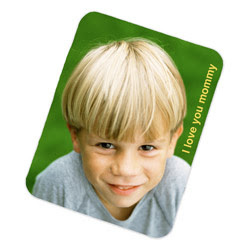 SeeHere.com is offering up a cute photo magnet for just $2.49 shipped! To get in on this deal, head on over here and design your magnet. At checkout use coupon code magnet-14 –which will make your final cost just $2.49 with FREE shipping! This would make a great little gift for birthdays or to add to that Christmas closet! I'm thinking Mother's day! Thank you. SonyaAnn is right That would be a perfect Mothers day gift. Just poppin by to say hi!